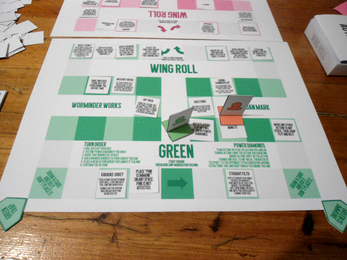 Wing Roll is a dynamic DIY drinking game that changes every time you play it! 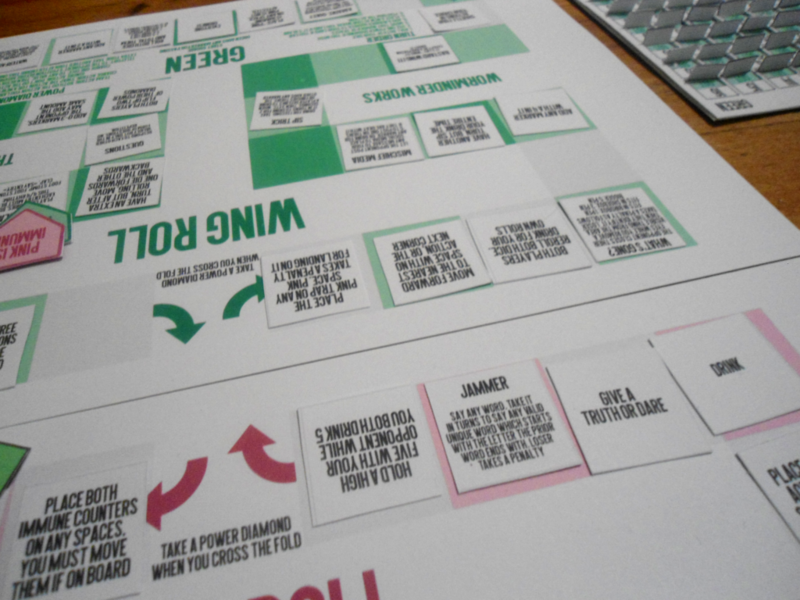 The end goal is the same - mark off all 36 possible two-dice rolls on your scorecard before your opponent does - but the journey will be a unique one every time. 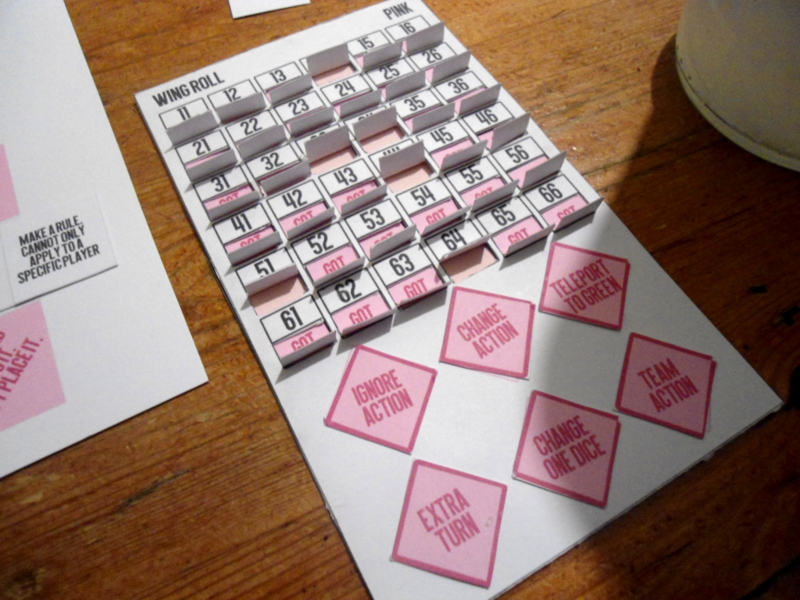 As you move around the board, marking off your rolls where you can, spaces that start empty will gain random actions - they might be helpful. They might be a hindrance. They might be fun. They might make you drink. Or they might even make you wing it on the spot and add a rule, a fun element, or anything you like to the game! There are over 150 of these actions included with the game by default but blank cards are also provided to make your own. 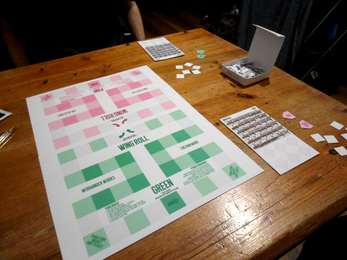 Because the game is presented in this way, it is easily customisable - and ideas for doing so are included in the PDF too, including rules for more than two people playing - both by taking the stock assets, and also by printing out more board segments and chaining them. Note: mild language warning (has a couple of cards that use a word that starts with B and rhymes with Custard if you mispronounce it). The game also alludes to drinking, however you are welcome and probably even encouraged to either use soft drinks, or just straight up ignore those penalties - the game still works without that component. Wing Roll was made for Procjam 2018.